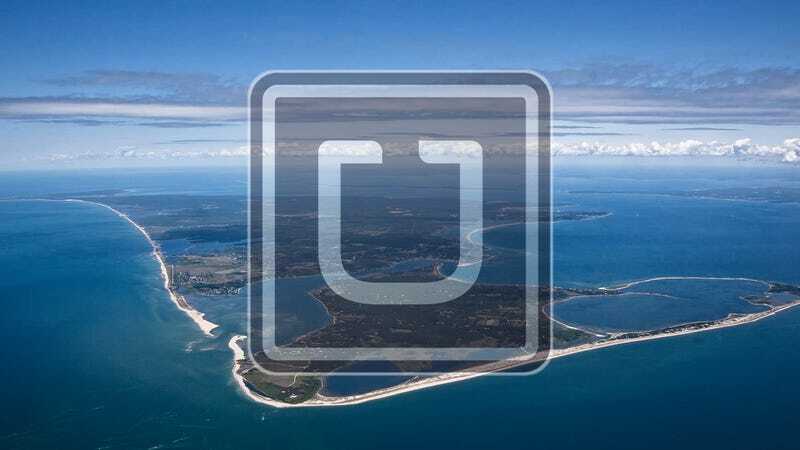 Uber, the ride sharing service which has disrupted the taxi industry in cities all over the world, is testing the waters on Martha’s Vineyard. The company began advertising for drivers this week. While there are no firm plans to expand Uber service to the Island, if the company finds enough interest, there could be Uber drivers competing with cabs and car services as soon as this summer. Uber was founded in 2009 and has enjoyed explosive growth. Already valued at $40 billion by investors, it operates in 56 countries. The company is known for moving quickly into new areas. The service works through a free smartphone app. People who need a ride can contact an available driver and arrange a pickup. The app shows the driver’s location on a street map, and estimates the time the car will arrive. Pricing varies in different locations, based on a combination of time and distance. During peak hours, Uber institutes “surge pricing.” Riders have to pay more, and in theory, the higher prices are an incentive for more drivers to work. Uber earns money by taking a percentage of the fare. Drivers set their own hours, so unlike taxis, there is no guarantee a ride will be available at odd times of day. Both drivers and riders rate each other after each ride. Uber has faced staunch opposition from taxi companies in many of the areas where it operates, but it has proved extremely popular with riders. In Massachusetts, Gov. Charlie Baker and former Gov. Deval Patrick have both been receptive to ride sharing services. The prime argument for Uber on the Vineyard is, unfortunately, Your Taxi. Not really yours. Evidently, not mine either, senior that I am, as evidenced by a flagrant foul on the part of an already highly criticized, apparently unregulated Island industry. Calling Your Taxi on the Friday morning after the historic blizzard, I asked for a taxi to take me to a long-scheduled set of important tests at Martha’s Vineyard Hospital. My little GTI, uncertain in snow at the best of times, was going nowhere down John Hoft Road, even plowed as it was. So I called said company, and was greeted by the following collegial statement from the voice on the other end: “We can pick you up at the entrance to Lambert’s Cove Road. We won’t drive down a dirt road to pick you up.” Oh. That’s ¾ of a mile away from me — well beyond Carly Simon’s fences. Whatever happened to the taxi definition of door-to-door service? A Simpsons-like honking laugh in return: “Our vans get stuck in the snow.” I asked if they had four-wheel-drive vehicles. Dismissively, with a goose-like honk: “Our four-wheel-drives also get stuck in the snow.” I will of course testify to this in a court of law. OK, I’m a senior, and I could trek to the paved road if in momentary good health (not!). But extrapolate this away from me: We have a Vineyard population that is dramatically aging, and a subset that is in demand of health and other services, sometimes in emergency circumstances. I know this because I sit on the Donors Collaborative Healthy Aging Task Force. People have to get to other people, to other places, on a moment’s notice. And in weather-challenged times, many are not able to drive themselves, much less trek, snowshoe, or otherwise orienteer out to civilization. And how many people do live on so-called dirt roads? These are majority roads, and their treatment (or nontreatment) by towns is another abomination, which should be the subject of another letter. In the end, faced with this honking, bad-customer-service rejection, and tests that had to take place in the next hour, and before my visit to Massachusetts General, I decided to ignore empirical reality and try to get my front-wheel-drive GTI out John Hoft. With a quick prayer to the late Tom Magliozzi, I got out on my dirt/snow road, schussed out to the Simon intersection, and more or less snowboarded the rest of the way on the paved street (more important, I managed to return home the same way, with no four-wheel-drive). Uber obviously has its issues in various places (although it’s no less regulated than our sad, in some cases perverse, taxi flock). But I have never seen a story of Uber refusing to pick up a passenger, refusing a stop in a particular weather condition, of not fulfilling its advertised service. People use it not only for credible convenience, but for its collegiality and its adjustable costs (often low, except in preannounced surge periods, and definitely lower than Your Taxi). I run a nonprofit that deals with scads of Island and summer people, and hence has need for transportation services. I announce, here and now, that I am divesting from the no-service service, Your Taxi, unless they agree in writing to change their branding to Nobody’s Taxi. I urge my friends and colleagues to do the same, and I ask that everyone demand that the Martha’s Vineyard Commission take up the matter of taxis that do not fulfill their obligation to be the people’s transportation, and to create a truly accountable car-service environment -— before someone dies in the face of a honking laugh.